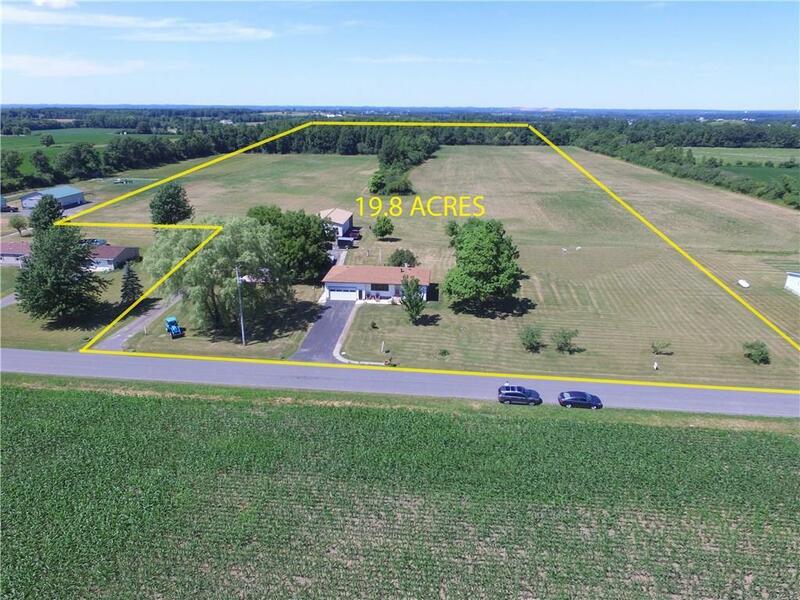 1643 Leader Road, Waterloo, NY.| MLS# R1109333 | Coldwell Banker Finger Lakes | 315-789-6768 | Geneva NY Homes for Sale, FINGER LAKES PROPERTIES, Seneca Lake, Cayuga Lake, All of the Finger Lakes. Sought after ranch style home on 19.8 acres. One of a kind 3 bedroom custom built home with updated features including C/A, newer roof, bath renovation, newer water heater, fireplace, heated kitchen floors, 8 camera security system, etc. 2-car attached garage has a workshop and a sub-panel. 30x50 barn is fully insulated with an office, bath, separate heat & hot water, septic, workshop, 10' overhead door, 16' rolling door, , storage, etc. Separate outbuilding for a business opportunity with a heated showroom or use as a hot tub/ summer living room. 15 acres are currently leased to a farmer. Wooded/hunting land in rear of property. Call today for full list of features and additional information. PRE-QUALIFIED BUYERS ONLY. Seller will entertain offers! Directions To Property: Route 96 South To Leader Road. Signs On Property.